I'm hella late. Lol I only just watched the Beyoncé Super Bowl performance 10 minutes ago. She shut it down, like 4-5 times. Amazing. 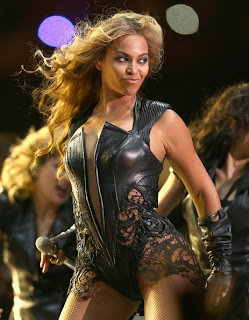 For her epic performance Beyonce wore a Rubin Singer leather bodysuit, trimmed with python and lace. Destiny's Child also looked amazing.